As any experienced marketer will tell you, how you brand your company can define your presence on the web. With over 12 years of experience as an illustrator and a graphic designer, VectorDefector can guide you in the process of establishing a web presence that expresses your company’s essence. Image Consulting – how do you want to present your business’ core values visually? Looking for a web presence that is unique as you and your business? Look no further. A well planned and executed web design is integral to ensuring your website captivates your audience, correctly presents your company image, and establishes the conversion you seek. As an experienced designer for web, VectorDefector knows what it takes to create a design that works both from technical and visual aspects. 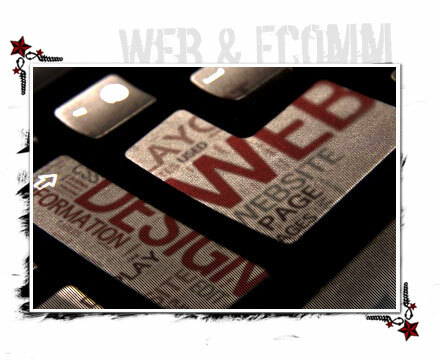 Web layouts that integrate great design and functionality through SEO-friendly code. Whether you’re looking to start fresh or already have an established brand, VectorDefector can assist you in building a website catered to your needs. Focusing on usability and a solid foundation of web standards, VectorDefector sites are unique, easy-to-update and budget-friendly all purpose marketing tools. Each website and E-commerce toolset offers a unique set of options that put you in control of your website content; you never have to wait for your “web guy.” It’s all within your control. Simple: Integrated into your site, easy to manage, works through PayPal for easy receipts and headache-free credit payments. Store Front: Our shop integration can be upgraded in style and sophistication to meet advanced needs with limitless categories, order history and user tracking. Custom-Tailored Web Applications – have a need specific to your company? Contact me today! Mobile devices like smart phones and pads are an expanding market. VectorDefector websites work great and look clean on a variety of devices using both “responsive” and “scaling” methods. VectorDefector also offers mobile “tag-along” sites that easily replicate your content in a format specially designed for smart phones and pads. Manage your content through the same easy-to-use interface as your regular website and pick and choose how little or how much information to present for mobile.